I’ve always thought that the National Gallery could have a better temporary exhibition space – but this time its underground location was less of a weakness and more of a metaphor. For if history tells the breakdown of a liberal and democratic age into one of intolerance and bloodshed, the paintings themselves may rather tell of a death-drive spurting out from underground. Death is what one sees upon entering the exhibition’s first room: it is Beethoven’s death mask. A witness at the composer’s passing reported it was marked by a peal of thunder. Of course, it was apocalyptic – but still, that was 1827, long before the other works in the room were selected for the Miethke Gallery exhibition recreated in Room 1. But then again, that show was in 1905. Vienna 1900 eluded me in a wink. Showcasing the Austrian Old Masters and their heroic models, the Miethke Gallery show established a genealogy for the new Viennese middle class. The New needed to set its footing in the Old. Accordingly, the moderns found in Ebyl and Amerling the precedents for their innovative painting – for the Kokoschka and Schiele and Gerstl in Room 2. Nevertheless, the contrast is startling, and it remains so throughout the show. For if traditional paintings are everywhere exhibited next to decidedly modern ones, this is only exhibition, not explanation: the viewer is not shown how the ones derived from the others. The criteria for grouping paintings in different rooms are just as evanescent. After presenting the New Viennese self-constructed antiquity, the subdivisions become thematic rather than historical, concentrating on themes such as the positive perception of private life, the figure of the artist, love and loss. ‘The Appeal of the Artist’ was surely my favourite. Both Rudolf von Alt’s and Schoenberg’s self-portrait were discoveries by artists I did not know before. Moreover, I appreciated the emphasis on the fabricated nature of Freud’s ‘tormented human subject,’ an aspect easy to ignore face to so many dramatic suicides. Other rooms however fail to deliver what they promise. Grouping together group scenes and portraits, young siblings and adults, the display ‘The family and The Child’ is too heterogeneous to delve deep into the hidden tensions of idyllic families. But then, why should one delve? There is here enough experimentation on the painted surface. Both the Amerlings and the Schiele reveal their great mastery, made all the more evocative by the flexible and atmospheric lighting. This is definitely not an exhibition to learn about history, but it may be a good one to learn about looking. For as in Gerstl’s Portrait of Alexander Zemlinsky, the revelation may lay on the surface. Costanza Beltrami is a BA3 student at the Courtauld. Facing the Modern is on at the National Gallery until the 12th January. History of photography seminars, organised by Julian Stallabrass and Pei-Kuei Tsai, explores the history of the modern invention up to the present day by inviting academics, photographers, and curators to give a lecture at the Research Forum on Wednesday evenings a few times per term. The first of the seminars this term was given by Dr. Sarah James, UCL. She was welcomed back to the Courtauld, where she read her PhD with Professor Stallabrass in the middle part of the 2000s. The topic of the evening was the exhibition What is Man? (1964) at the Academie der Kunst in Berlin, curated by Karl Pawek. Seen by 25 million people, it was an important photography exhibition in the relatively early days of temporary photography exhibitions in fine art context. James gave a richly detailed presentation on the subject, situating German visual culture within the historical contexts of the Cold War. This context was woven largely through the Americanisation of post-war German culture, and within this framework, James took a comparative approach to analysing the exhibition, using the American exhibition, Edward Steichen-curated Family of Man (1955), as a basis. James offered a view of German visual culture largely influenced by their fascination for American media, with What is Man? as a response to American photojournalism found in outlets like the Life Magazine. The success of both exhibitions among the public, and their display of humanity through photomontages helps to draw an immediate parallel between the two. The comparison across cultures and time works because of Pawek’s documented interest in Steichen’s work. On one hand, there are many similarities between the two exhibitions, such as the usage of metaphotography, conservative humanistic perspectives, international reach, corporate sponsorship, and popular appeal. However, differences emerge upon closer examination. One of the notable was that Pawek’s exhibition was not being explicitly religious in nature, whereas Steichen’s included quotes from the bible. Steichen also left out information about the photos, as they were meant to be read as simple documentary representations, and while Pawek did not include these details within the exhibition either, he did include the information in the catalogue. On a fundamental level, James argued, Pawek presented a consistently more heterogenious view of the world than Steichen. In Pawek’s exhibition, the arrangement of photos alternated and shifted between single portraits and photos of masses, rather than focusing wholly on thematic display as Steichen did. Pawek also chose not to exclude references to racial unrest, something largely avoided by Steichen. Some of the most effective examples were from the power of the images themselves, such as Pawek’s photos of war and its aftermath, such as the images of people who survived Hiroshima. Another was the exhibition’s display of bourgeoisie engaged in ritualistic situations. By turning the lens toward the exhibition’s likely viewers, Pawek brought more depth to the critical aspect of the exhibition. To attributing the differences to a specific German experience, James offers an interwar German photomontage as another point of comparison, focusing on the changes in the German perspective in photography. 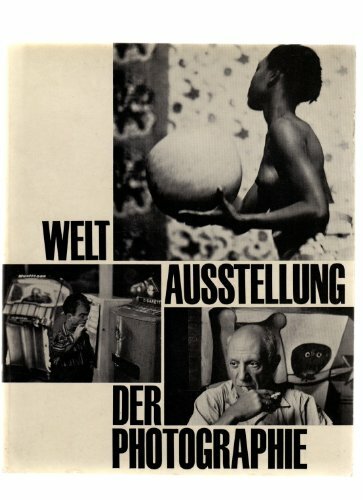 James used Ernst Junger’s collection of press photography, The Transformed World, published in 1933. Although it reached the public in a different format, it offers an interesting point of contrast to Pawek’s work, particularly in the splicing of violence with the images of everyday, creating a “stereoscoping vision” that bringing depth to the depiction of reality. To what extent his view can be representative of German visual culture in the 1930s, especially with Junger’s complex and somewhat ambiguous relationship to National Socialism, is open for discussion, but the comparison may still be useful as Pawek and Junger does share a thematic interest. In using both Junger’s and Steichen’s works, James presented a well-constructed argument that sees Pawek’s work as reflecting an intriguing confluence of both visions, and offers us a German image of man transformed by the World War II, the country’s defeat, and the aftermath.